There are so many options available when it comes to skin care products. But I know you just want a product that works, that is affordable, and is made from organic ingredients. 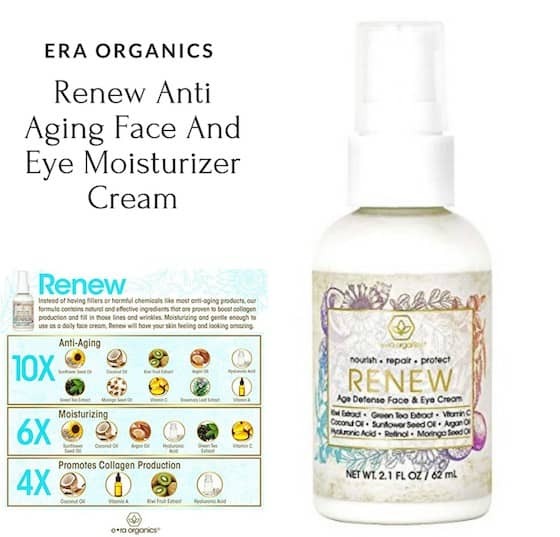 After trying many products – I can tell you that Era-Organics makes some of the best beauty product that you are going to love! There are 2 new products that you are going to want to purchase for yourself or give as a gift this holiday season. 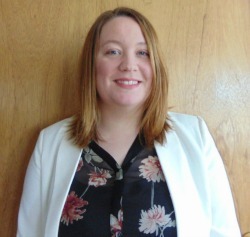 Janell at SavingYouDinero.com has been using them for a few weeks and can already see and feel the difference. Unfortunately, many anti-aging products are only face moisturizers, and those retinol creams can be loaded with toxins, useless fillers, harsh preservatives, and alcohol which can irritate your skin, causes peeling, and chronic dry skin. 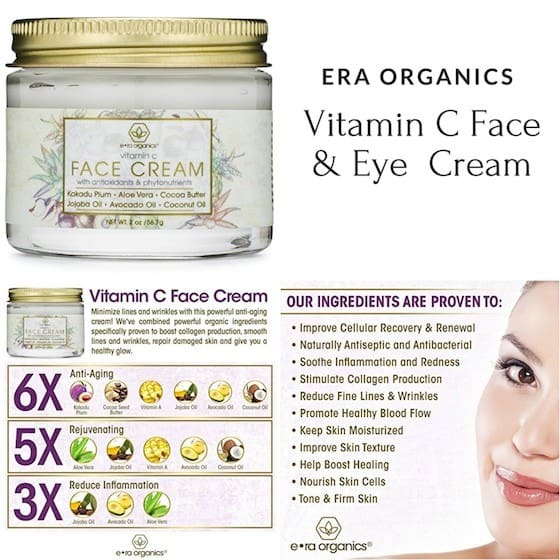 era Organics Vitamin C Face & Eye Cream is a natural face and eye cream are formulated to hydrate, nourish, and strengthen your skin from the bottom up with ingredients like organic aloe vera, cocoa butter, coconut oil and jojoba oil. Their renewing face and eye cream are created to nourish, hydrate and strengthen your skin from the bottom up while also plumping cells and strengthening skin fibers. Strengthen skin fibers and repair damaged skin cells. Helps increase healing and recovery. Protect from free radicals that cause premature aging. 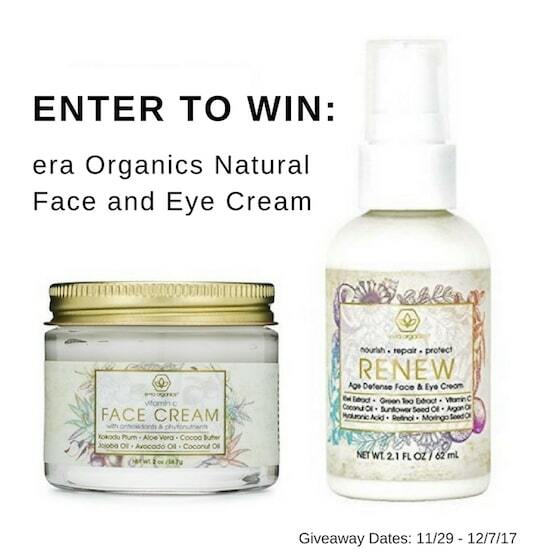 Now for the giveaway: 1 lucky person is going to win ERA Organics renewing face and eye cream and era Organics Vitamin C Face & Eye Cream. The giveaway ends on 12/7 at 1159pm EST and is open to US residents.